To my fellow bullied targets: "I meant what I said and I said what I meant: An elephant's faithful one hundred percent." I'm Horton the Elephant! I heard a Who. I heard a bunch. Just when I'd sat down and began to eat lunch I heard a Who family. I followed their voices. For me, a word keeper, there are no other choices. I saved them! I did! I stuck through to the end. I looked and I looked, through rain and through snow. I looked and I looked, used my nose like a hoe. I picked and I plucked through fields of flowers. I picked and I plucked for nearly ten hours! I found them! I saved them! I felt good about it! Others did too, there's no doubt about it! I was on the front cover of magazines! The stories said: "This is the best thing we've ever seen!" The Who mayor and I sat together for photos! The whole thing began to feel a bit locos. The mayor speaks Portuguese; I speak me some Spanish. We became more popular than Justin Beib-an-ish! And then it occurred to me in a flash. There I was donned in this pretty sash; There I sat signing on napkins my name. There I sat vapidly smiling! What shame! The sash it said, "Horton the Hero! He saved some Who lives! He saved nine hundred and ninety fives!" "How did you do it?" I was often asked. "How did you hear a voice so small, that most of us--all of us--hear not at all?" "You must be quiet inside you see. You must listen without listening indeed." The interview lights shined down as I talked. The spectators whispered and giggled and gawked. They'd never seen anything like this, t'was true. The mayor and I were a "really big shew." Then suddenly, quickly, quick as a flash, I stood up and took off my sash. I looked at the mayor...he chose to remain. He liked the attention; liked drinking champagne. The noise was tremendous. I couldn't think clearly. I thought of the Whos, the ones I loved dearly. I said to myself, "I'm a 100% guy. I'm a guy who loves Whos, why that's not a lie! I simply can't help them with all this commotion. I must, then return to my life of slow motion. The mayor alas has abandoned his Whos. He's on stage "high-fiving" kangaroos!" So, I mean what I say and I hope you do too--it's time we set out to save other Whos. It's back to the jungle, to my quiet Nool lake. It's away from the lights and all things that are fake. It's away from all the fame. It's away from the hectic "Hey Hero Horton" sad game. I am so sorry, I lost my way. But I am back and I'm here to stay. In 1960 I said, and I meant it, I'll give it my all , I'll one hundred percent it." The Whos down in School-ville love teaching a lot. The Whos down in School-ville, conniving, are not. The Whos go to work each day at their schools. They go with enthusiasm. They follow the rules. They enter their classrooms, they decorate boards. They greet all the children who enter in hoards. They teach and they teach; they barely eat lunch. ‘Round three o’clock a salad they’ll munch. They go home each night, happy and tired. They grade papers ‘till bedtime; that’s why they were hired. They’re good people all-no matter their size. They’re nice and they’re fun. They never tell lies. Their age, their appearance, they matter not. What’s important is the drive that these Whos’ve got. But the Whos down in School-ville are feeling like fools. They’re sad and they’re mad and they’re crying bool-hools! They’re crying because they’ve begun to awaken to something so awful, they’re really quite shaken. The Who leaders are lying! They’re covering up! They’re filling out documents with Who teacher names. They’re keeping them secret; no Who plays the game. The Who teachers are troubled! They’re up to their necks, in lies and falsehoods at children's expense! And the downtown grinches pay no attention at all. The grinches don’t care if Who teachers fall. They’re in charge! They’re the bosses! Refuse to listen. And the Who teachers are left wonderin’, just what is missing. The Whos can’t believe it. They’re dumbfounded struck. They’re asking for help, but they’re just out of luck. Their hours and hours of teaching it seems; their silly and childish who-ish-y dreams, are meaningless, pointless and sad beyond mention. It’s Grinch leaders, not Whos, who should be in detention. At last Yertle was as high as he could be! Still, there were things he could not see. Below him were sad and tired turtles; all precariously balancing their Yertle. Until one, on the bottom, she finally cried, "Hey everyone! Yertle, our Yertle, he lied! We, we, the stacked up turtles have nothing to hide! Why it's his bosses-ours!-who're really to blame! Yes! It's they who've allowed his turtle stack game!" "Yes! Yes! You are right! They've allowed this to occur. They've allowed this bad turtle to become quite a cur! They've allowed this reptile to run quite amok! Surely this time, he's run out of luck. Why, it's time they address this! It's time they found out, just what the costs are to allow such a lout! Lives are destroyed-employees' and students'. They spend district money just where they shouldn't. They spend and they spend, they spin such a lie, that those of us here in the stack just ask why? Why are we stacked here so docile and sweating? We're all just too scared. But fear's pointless I'm betting. I'm betting they'll listen to our unified voice. I'm betting they'll see there's no other choice. For to allow such a brute to not take a fall, doesn't make any sense: makes no sense at all." Round of the belly all sneetch teachas are. They all look the same when viewed from a far. They may dress in clothes that are different, that's true. But I know and you know they're sneetches too. All sneetch teachas begin with an ed-u-ca-tion. All sneetch teachas start out with a vim and a vum! New sneetch teachas come early! Leave late, oh it's true! They work really hard. They're quite a crew! They attend meetings! Listen to others! They take their ideas and share and debate! They laugh and they chortle; exclaim, "Sneetch, that's great!" They widen their eyes, slap sneetchie backs! They exclaim "Good job, my fine Sneetch. I like it like that!" From behind granny glasses, vet'ran sneetch teachas shake heads. They've worked hard for years and now've innerly said, "Oh new sneetch teachas it's coming, it's coming, you'll see. Our Grinch is plotting and planning his plots and his plans against you and me. Our grinch prince, our school leader, knows about you. He knows you are fun and happy too.He doesn't like that about you. He knows you are fun, smile much, widen eyes. He's planning already for their demise. He's plotting to see if you'll follow his rules. He's got quite a test so get ready sneetch fools. Stop now if you want to survive this sneetch race. Give it a year and you'll find that your place....is practicing "yes-es" and never a "no." Say to our leader, "Wherever you want! That's where I'll go! You're amazing, so bright, I'm so glad to be here! These sneetchie tears? Why they're nothing to fear. I will be quiet. I've got your Grinch back. I see, now I see that's the way to survive. And, dear supreme leader, I will stay alive. Vet'ran sneetch teachers then look at each other,o' er their glasses. One whispers, "There's one sneetch here you'll want to know. That sneetch is a favorite you'll find right away. She laughs and she dances. She has her way. You'll want to be friends with her or you will not stay. She'll take you out with her whispered lies. She'll take you out with something like this...."I don't like the new Sneetch in room 126. That sneetch hurt my feelings, she actually said. "let's try something different....I want her career dead." There is another Sneetch teacha, she left, said, "no more." She's rounder of belly than she was before. But her heart it has grown this past year or two. And she, my sneetch teacha, is there for you. She's been there and done that! Been coerced by our Grinch. She's stronger than ever and in a pinch, will help you, support you, but it's not a cinch. It's hard! It's crazy! Feels loco: absurd! But the round bellied Sneetch, she's a tough old bird! She said "not me, when the Grinch came a'callin. He wanted some Sneetch to do all the fallin.' He wanted a Sneetch to take all the blame for his lies and his mess and his stupid Grinch game. The Sneetch didn't you see. She said you're a Grinch and I'll have none of that! I'll report your Grinch lies to the Grinch higher than highs! I'll help all the others when they report too. We'll see the end of Grinches like you! And the Sneetch teachas all gathered round and they listened. There're too many Grinches it seems in schools 'round our nation. Too many Sneetches need a vacation. They'll have a break,they will, these Sneetch teachas. They must have a break from their slimy Grinch creatures. They're getting together the birds round of belly. They're getting together and starting to rally. The Grinch Finds His Purpose...The Sneetch Saga Continues. How will you know the dancing Sneetch singers? How will you know the Sneetch havoc bringers? Under their elegant expensive Sneetch clothing, they, like Sneetch others, including Grinch bosses, have bellies with stars, oh yes, stars, of self-loathing.They're stars that grow from long years of knowing their places. They are stars, yes they're stars...of utter disgraces. I'm sad to tell you, you'll need a star. They come in all sizes, they're big and they're small. Hardly a Sneetch has not one at all. It's hard not to start one. It begins with a lie. "I don't want to," you'll say the first time the Grinch tries. "YOU WILL!" he'll respond. And then you'll do and say things you'd once denied. Now the star's something you, too, must hide. Well dressed and star bellied Sneetches run past the one Sneetch with her non-starred belly exposed; she's all alone; that she knows. She stuck to the truth. Now his star bellied Grinch wrath's been set looth. There's no star on her belly, not yet anyhow. She asked for some help in her simple truth telling. She got none at all. She just got Grinch yelling. "YOU'RE NOT A TEAM PLAYER! YOU'RE A DANGER TO ME! I GAVE YOU A CHANCE TO HAVE A STAR TOO! YOU CHOSE NOT TO HAVE ONE; YOU DIDN'T....SNEETCH FOOL! I'll have your non starred belly removed from my district and school! You didn't follow star-bellied Sneetch rules! I'll have your career, your job, oh it's true. I'll rid this star bellied district of you! I have help from star bellied Sneetches above me. I've Grinch friends in high places. And we don't like non-starred bellied Sneetch faces. Thought you'd fool me and for a while you did. Thought you'd fool me when your truth you had hid. Thought you'd fool me with smiles and contact of eye. Oh, silly non-starred bellied Sneetch, I'll bet now you ask: "Why? Why didn't I go with his Grinch plan? Why didn't I just play along with his scam? Stars, stupid Sneetch, even though they are dirty, Stars upon ours look, oh, so pretty. Listen here, stupid Sneetch, I want to be a Grinchy big boss. Star bellied Sneetches at my school know well, if they don't do what I say, their lives will be hell. But if you decide to grow a star, I'll see to it, Sneetch, that you will go far. What room do you want? 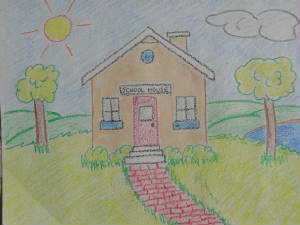 What grade level too? Supplements? Sure! There's one for you! A director of this, a sponsor of that--I'll pull a supplement out of my Grinchy hat! Just play the game, silly non-starred bellied Sneetch. You're alone at this school without a star. Why, the school building itself has stars upon thars! Why, the district itself shines bright as can be! Our star-bellied Grinches earn a-wards and prizes! Who cares if they're earned on a bunch of Grinch lie-es?! That's the way of the world, pathetic, non-star bellied Sneetch. There's your truth. There it is! The truth is all lies! So stop with your "honorable" asking of "whys?" "But look! ", the frail bird without a star said. "Look at these children with their bowed heads! They need us to do what our schools say they do: Educate; teach; treat respectfully too. Why don't you do something? Why haven't you cared? Why are children crying and scared? You act like a meanie, a brute, and a lout. You stay in your office; you complain and you pout. Why do you yell? Why do you scream? Why, Mr. Grinch, are you so mean? Maybe you're also scared! Maybe you're frightened! Maybe you need to be a little enlightened. Maybe if you stand up and you say, "I've had enough. I'll stop lying today." the Grinchy big boss that you foresee. I promise you, oh my dear Mr. Grinch, that there are more non-starred Sneetches like me. There are lots of us. Yes! You will soon see. We'll listen, I promise. We'll follow too. We only need a few true and kind words from the likes of you." The Grinch raised his head; this idea he did ponder. His shriveled and dried up heart started to wonder. "Maybe she's cor-rect, maybe she's right. Maybe just maybe I've been wrong all along. AYP's and Common Core Standards apart, these children in corners have touched my heart. We've been wrong, oh I'll say it! Children benefit most, from kindness and patience, not data to boast. I get it! I do! The way to get funding, is not cheating and lying and breaking rules. It's demonstrating truth and honor in schools. This, then, is the end of my lying ways. This is the end of my duplicitous days." And so the Grinch to his word he did stick. It wasn't easy. 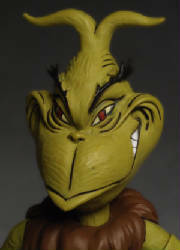 In fact he soon found, that to stick to his word, would cause a frown...on a star-bellied Grinch in an office down town. But over time his Grinchy "stick-to-it" had others follow. He started a movement! He now leads a district! He's a non-star bellied supe! He's a fine leader; the best of the Sneetch coup! Children in his schools are safe and secure. They're respectfully treated, that is for sure. Now he's the star! His non-star bellied district's a national model. Other star-bellied districts his ways want to follow. He's happy too! And now it seems, instead of no sleep, our Grinch sleeps well and dreams happy dreams.